This quote from Thomas Piketty’s classic Capital in the Twenty-First Century as translated by Arthur Goldhammer sets the stage for the next couple blogs. One of the current ‘hot’ topics for behavioral economist is ‘equality’ – specifically how do people rate the inequality they experience – and what do they think is the current distribution of wealth. Dan Ariely has drawn the following conclusions from his research: “Americans Want to Live in a Much More Equal Country (They Just Don’t Realize It)”. The first is that we vastly underestimate the level of inequality that we have in America. Second, we want much more equality than both what we have and what we think we have. As a sidebar from, “How much equality would you like?” – S.M. American society is staggeringly unequal: the top 20% hold 84% of the wealth, while the bottom 40% have just 0.3%. At this point I will focus on the symptoms while the next blog will look at cause. As you might imagine numerous scholarly tomes have been written on this topic. However – I don’t know of many books that have struck a chord with me like Makers and Takers – The Rise of Finance and the Fall of American Business by Rana Foroohar. Let me state it simply – the subtitle says it all! As an aside: One, (me) can’t help but get excited (not to mention pleased) when an articulate and credited journalist put their finger (tourniquet) on a sucking chest wound that one (me) had been concerned about for some time. I will rely heavily on a this book since I think it does a good job of diluting some of the ideas down to the components that I deal with every day – people/jobs/individual companies/private equity/venture capital etc. etc. Every business and portfolio of businesses can be made more valuable. To put it another way – our entire team and I have committed our careers to creating real value – not using our talents to create the perception of value or short term versions of value which has resulted in our unwavering commitment to the thoughtful integration of ‘earning and returning’. To sum up my disclosure – I am firm believer in creating value the old fashioned way (heavy lifting/long term view) – in my opinion while ‘financial engineering’ can be a tool – it is a dangerous one and one that is used far too often. Having said that – this is clearly a complicated issue(s) – with many nuances and even more opinions. As with all things in business (in life!) it is not as simple as one vs. another. So while financialization may be a convenient scapegoat it would not serve our purpose to assume we had the problem figured out or what the cause may be. It is with real world perspective that I approach this topic. 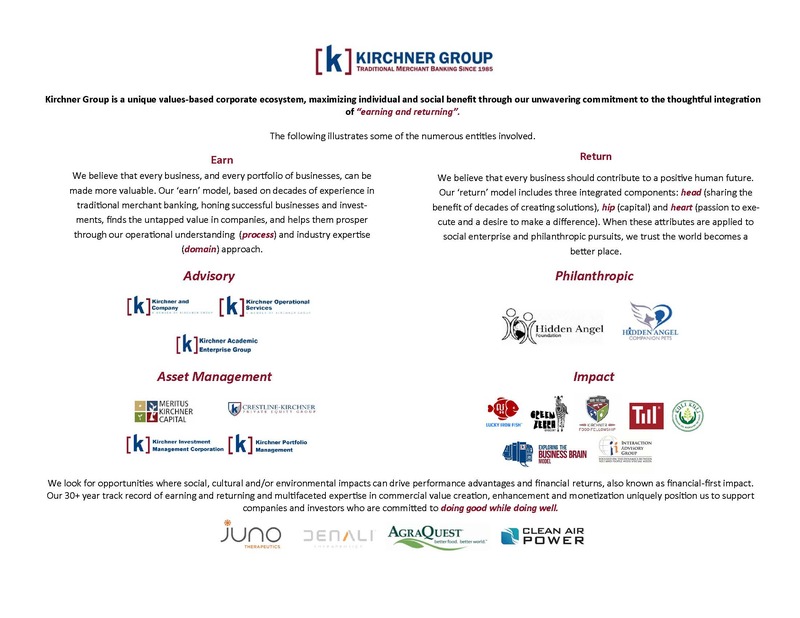 I have a unique vantage point as Kirchner Group often finds itself at the interface between the financial sector and operating companies (i.e. business). Just by way of context – I believe it fair to say – we are ‘up close and personal’ with numerous businesses across our broader platform especially in contexts such as operations, advisory, enterprise development and investments. We deal with over 50 companies per year across the entire lifecycle, from birth-maturation-crystallization-liquidity and are involved in all the processes that enable them to move from one to the other. 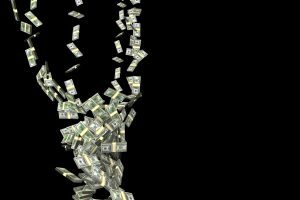 While the bulk of our involvement is not with public companies or real estate – we have sufficient exposure to relate to the situation in general so I can confirm a lot of what Foroohar says in her book – from the trenches. Just to set the stage here are 7 particularly salient points I quote from “Makers and Takers” to get the discussion going. The move from “retain and reinvest” corporate model “to a down size in distribution” one is in large part responsible for a national economy characterized by economic inequality employment instability and diminished innovative capability. Lest you think this picture is unbalanced in that it only deals with larger assets/situations – let me share with you another perspective from a recent book (Chaos Monkeys: Obscene Fortune and Random Failure in Silicon Valley by Antonio Garcia Martinez). About the Author: W.B. “Bud” Kirchner is a serial entrepreneur, philanthropist and sponsor of impact activities with more than 50 years of business success. He is the Founder and CEO of Kirchner Group, a traditional merchant bank and Founder of the Kirchner Impact Foundation that aims to harness the positive power of enterprise to make a difference in addressing some of the most important issues in the world today.